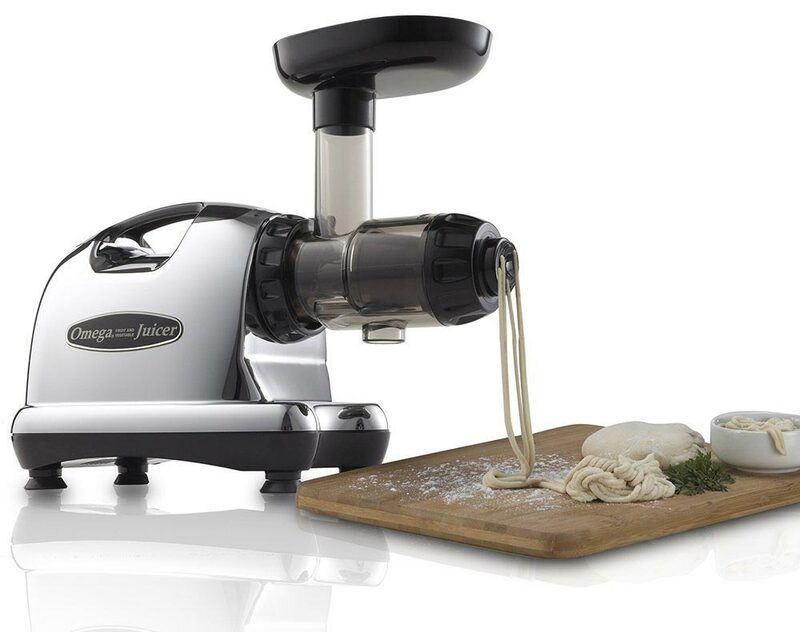 Here is the horizontal, dual-stage, slow speed masticating juicer from Omega. The easy to assemble, easy to operate, easy to clean (and possibly, easy to break?) Omega J8006 Juicer that functions at an 80rpm. 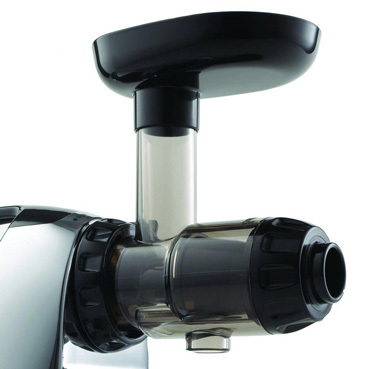 The Omega J8006 Nutrition Center is a 2008 model, and was at the top of the charts at its time, however, after a bit of research, it becomes pretty clear that this Omega juicer has a lot of mixed reviews. Some people seem to swear by this model and believe it’s the best juicer out there, while others were somewhat disappointed. 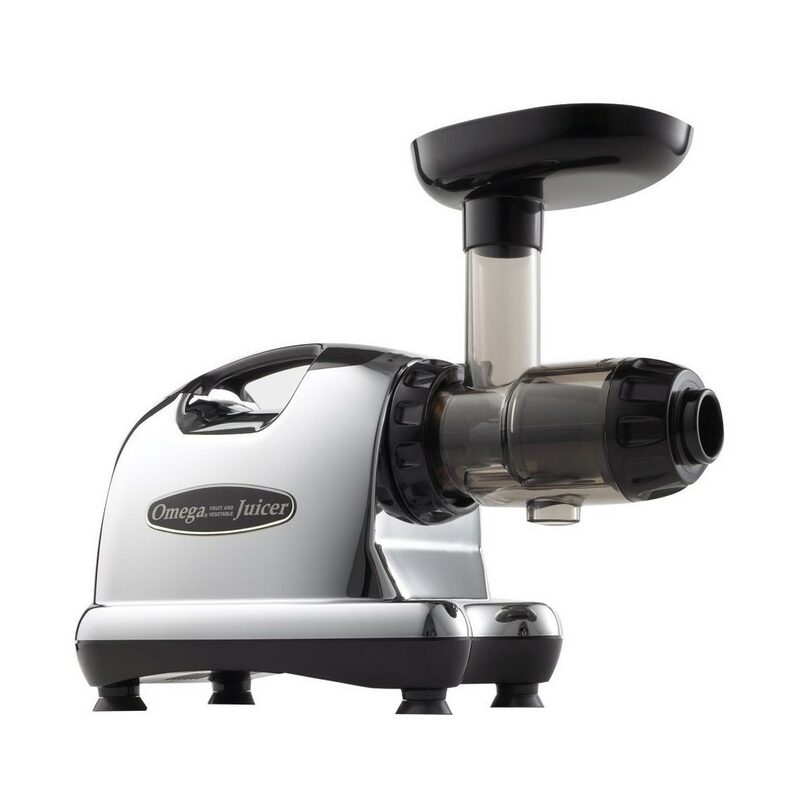 In any case, let’s have a good look at the Omega J8006 Nutrition Center Juicer, and decide for ourselves, shall we? First of all, is it just me, or the Omega 8006 looks like a baby dinosaur? In all fairness, the model came out a few years back, when the horizontal design was all the rage and before the vertical design took over. 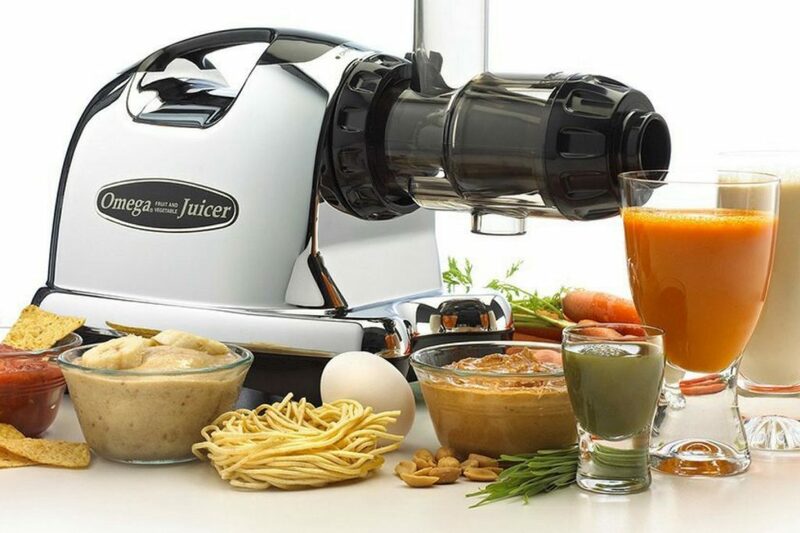 So the Omega Juicer 8006 might not be winning beauty contests any time soon, but the question is; is it a good juicer? Does the old-style horizontal technology offer any advantages? The Omega J8006 is a bit cumbersome and will occupy a fair portion of your kitchen counter. It is also somewhat heavy, so putting it away after each juice might turn out to be quite the workout. 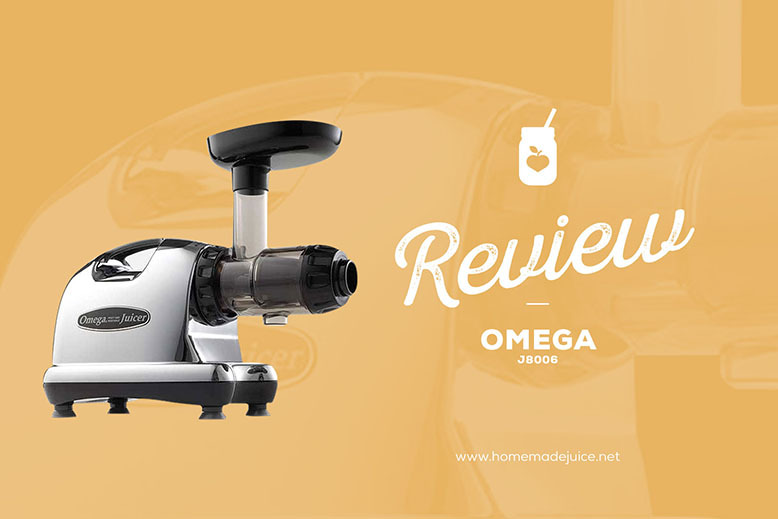 This Omega model is a dual-stage slow speed masticating juicer. Dual-stage means that first, the fruit and veggies are crushed to extract the juice, and then, the pulp goes through a second press stage before the juicer ejects it. This dual process increases the amount of juice you get out. 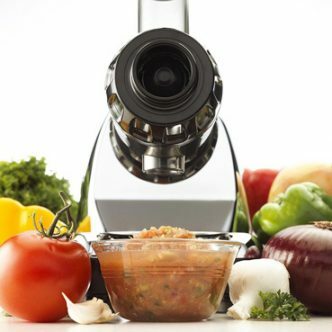 Unlike fast centrifugal juicers or blenders, these slow speed masticating type, squeeze and crush the produce, rather than grinding it. The low speed also gives you less foaming and also slows the process of oxidation and separation. Therefore helps reduce oxidation in the juice; retaining more of the healthy enzymes and nutrients. Omega claim that their juice is of superior quality and you can store it in the fridge for up to 72 hours. Another thing you should keep in mind when considering buying the Omega J8006 Nutrition Centre is how pulpy you like your juice. If you don’t mind some serious pulp in your daily squeeze, then you are fine buying this one. If you prefer a smoother juice with fewer bits, then you either pass it through a sieve or move along…there’s nothing to see here (check out other models). 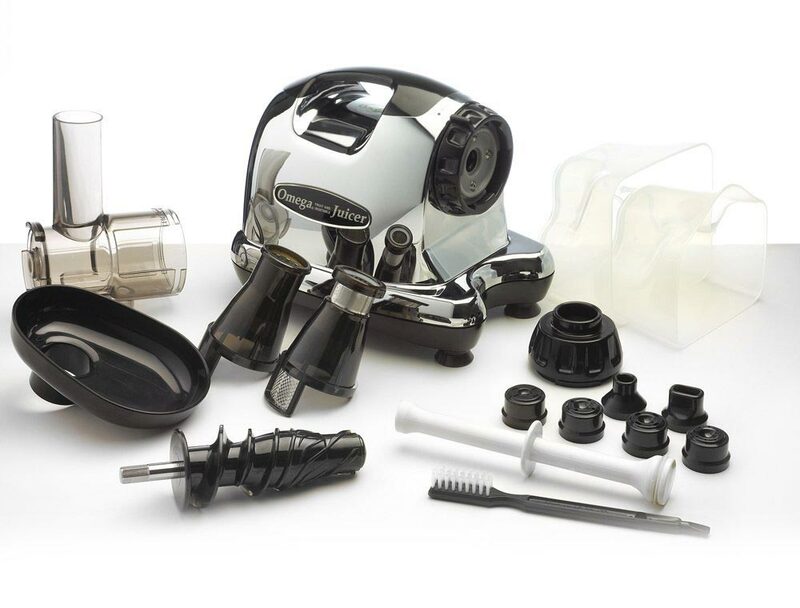 This masticating juicer is easy to assemble and easy to clean. In fact, there are only a few parts to put together before starting the juicing process. You can easily do this in under a minute. It is also easy to use, but I have to warn you, even though the juicing itself is swift, the whole process from start to finish might be a bit time-consuming. The culprit is the itsy bitsy tiny chute. Yep, the chute is so small you will need to practically dice the vegetables and fruits to fit it in the feeding tube. And that, my friend, takes a lot of time. 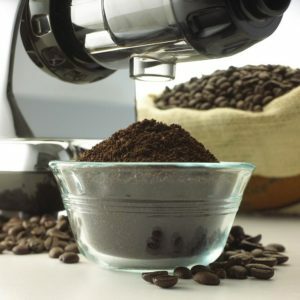 Apart from making vegetable and fruit juices, the Omega Nutrition Centre can also be used to make nut butter, soy milk, and grind coffee, herbs and spices. And that’s pretty versatile; however, if you’re thinking of juicing wheat grass, I would stay away from this model. A lot of people complain about having difficulties juicing wheat grass with the Omega J8006 and even experience screen breakages. 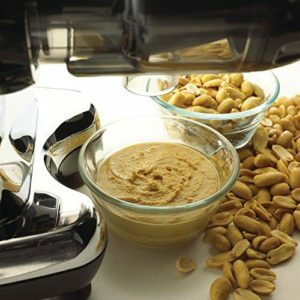 The Omega J8006 does more than just juice; it makes nut butter, extrudes pasta, grinds coffee and spices, minces herbs and garlic, makes baby food, and soy and nut milk. It seems that the people who are happy with their purchase of the Omega Juicer, are people who have never owned a juicer before. Or people who have just bought it and have only used it for a couple of months. The parts are not as durable as you would wish them to be and tend to bend and break after a short while. If you are a beginner and are just trying out the healthy new lifestyle of juicing, then this juicer might be worth a shot. This juicer will give you better quality and yield of juice than your average fast juicer for sure. But don’t expect too much out of it. It is one of the cheaper slow speed masticating juicers there is, and I believe you always get what you pay for. A word of advice though, if you’re into juicing for the long haul, I would gladly pay a bit more and buy the Hurom Elite Slow Juicer HH Series instead, or better still the Kuvings C7000. Horizontal masticating juicer with a powerful motor that chews up fruits and vegetables to produce a juice full of vitamins, minerals and nutrients.